Lots to report on from Newfoundland. First of all we are very pleased to announce that A Twist of Fortune is now available from Costco on Stavanger Drive in St. John’s. Costco has been onboard with Sgt. Windflower Mysteries since near the beginning and have been very supportive (and sold lots of books). We are also very excited to report that they will be hosting a Book Signing for a Twist of Fortune at the store on Saturday August 8. More details to follow. Just got back from Newfoundland and while the weather is horrific the people are as warm and welcoming as ever. 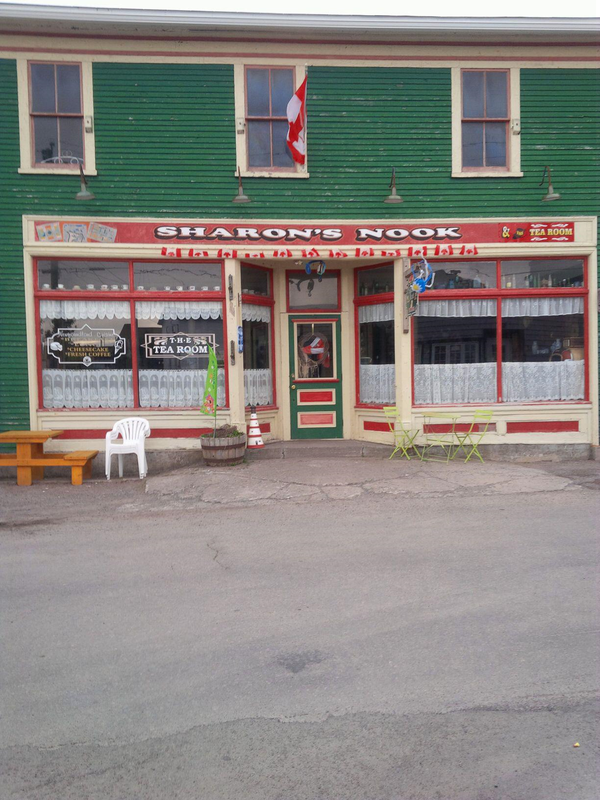 Got to drop in to see Sharon and Jack Grandy in Grand Bank at Sharon’s Nook and Tea Room. Drop in for a piece of their speciality cheesecake. They have dozens of varieties including Windflower’s favourite: Peanut Butter Chocolate. And buy a copy of A Twist of Fortune while you’re there!! We also visited the Downhome Shoppe and Gallery on Water Street in St. John’s where they have a large display of all the Sgt. Windflower Mysteries including a special boxed set. This is a fabulous place and a must-visit if you get to St. John’s. It’s a craft and gift store, an art gallery and a bookstore all rolled into one. Yes it’s kitschy and touristy but it is also a great location to buy books, particularly local books. 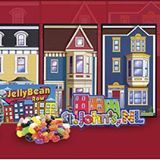 If it’s written by a Newfoundlander, or about Newfoundland, or the Atlantic Ocean you will find it at the Downhome Shoppe. And if you come by on Saturday afternoon you just might be lucky enough to get a taste of the best toutons in St. John’s. If you want to know what toutons are, you have to read Sgt. Windflower Mysteries. 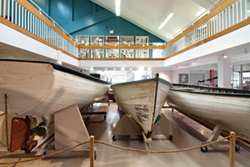 We are also thrilled to announce that we’ve been asked to do a very special event at the Seaman’s Museum in Grand Bank. On Thursday August 6 there will be a series of readings from the Sgt. 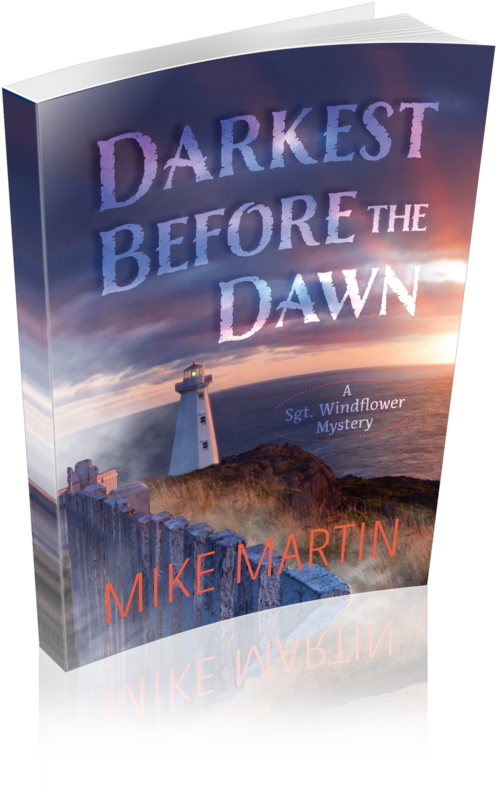 Windflower Mystery Series along with music from a popular local band, The Pidgeon Family who play traditional Newfoundland tunes and favourites. There will be a book signing and light refreshments afterwards. Admission will be free and open to all. More information and a poster will be available soon.